For over 30 years, Jim McGee has been helping organizations become more effective by making better use of information and communications technology. He’s attacked these problems as an entrepreneur, senior executive, professor, author, blogger, speaker, systems developer, designer, and consultant. Today, he works with senior executives in organizations to formulate, structure, and solve problems in the effective use of information technology in complex knowledge work settings. 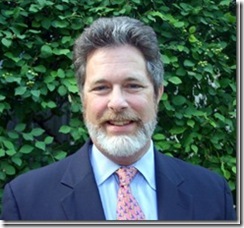 Jim has worked in senior positions with a variety of leading consulting organizations. In 1994, he was one of the Founding Partners of Diamond Management & Technology Consultants. At Diamond, Jim worked on client projects in a wide range of industries including food processing, financial services, household moving, retail, direct mail, professional services, and education. Regardless of industry settings, his projects focus on the interplay between two issues. One, what are the business opportunities wrapped up in using technology to create richer and denser information pictures of business activity? Two, what are the corresponding changes in organizational structures and practices that needed to be orchestrated to realize those opportunities? In addition to his client-facing responsibilities, Jim also served as Diamond’s Chief Knowledge and Chief Learning Officer. In those roles, he focused on guiding the development of Diamond’s consulting staff as it grew from less than 100 to over 1,000 over the course of six years. He also focused on developing processes and practices for Diamond to learn from its experiences and apply those lessons more broadly. 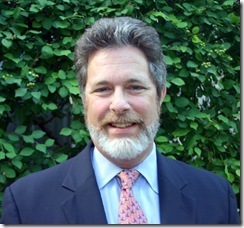 From 2003 to 2007, Jim was a Director in the Higher Education and Healthcare practice with Huron Consulting Group. While there he worked with the leadership teams of universities and academic medical centers on projects ranging from strategic plans for research to the redesign of information technology services and organizations. Before Diamond, Jim was one of the original Fellows at Cap Gemini, Ernst & Young’s Center for Business Innovation in Boston. Jim also spent a number of years as a senior technology consultant with Andersen Consulting before it split from Arthur Andersen & Co. and became Accenture. Dr. McGee was also Clinical Professor of Technology, Innovation, and Electronic Commerce at Northwestern University’s Kellogg School of Management in Evanston, IL. He developed and taught courses on knowledge management and the application of information technology to competitive strategy. His knowledge management course was the first to require students to maintain their own blogs. Jim started his own blog, McGee’s Musings in the fall of 2001, where he continues to write about issues of technology, organization, and the management of knowledge work. Jim is also a Contributing Editor to the FASTforward Blog, which focuses on what has been described as the emergence of Enterprise 2.0. He is the co-author, with Larry Prusak, of Managing Information Strategically (John Wiley & Sons, New York, 1993). Jim is also a frequent public speaker on topics of knowledge work, knowledge management, organizational impacts of technology, information analytics, and learning. Jim has both Master’s and Doctor’s Degrees in Business Administration from the Harvard Business School. His MBA is in Strategy, while his Doctoral work combined information technology and organizational design. Jim also has an undergraduate degree in Statistics from Princeton University.